Schonbek Worldwide Sterling Collection 12-Light chandelier in silver finish, has clear heritage handcut crystal shade that brings elegance to the home. This classic style chandelier uses 12 60-Watt candelabra B10 lamps. It measures 29-Inch Dia x 29-Inch x 30-Inch. The heritage handcut crystal is cut using iron and then a sandstone wheel in two stages. It comes with 40-Inch chain for easy installation. 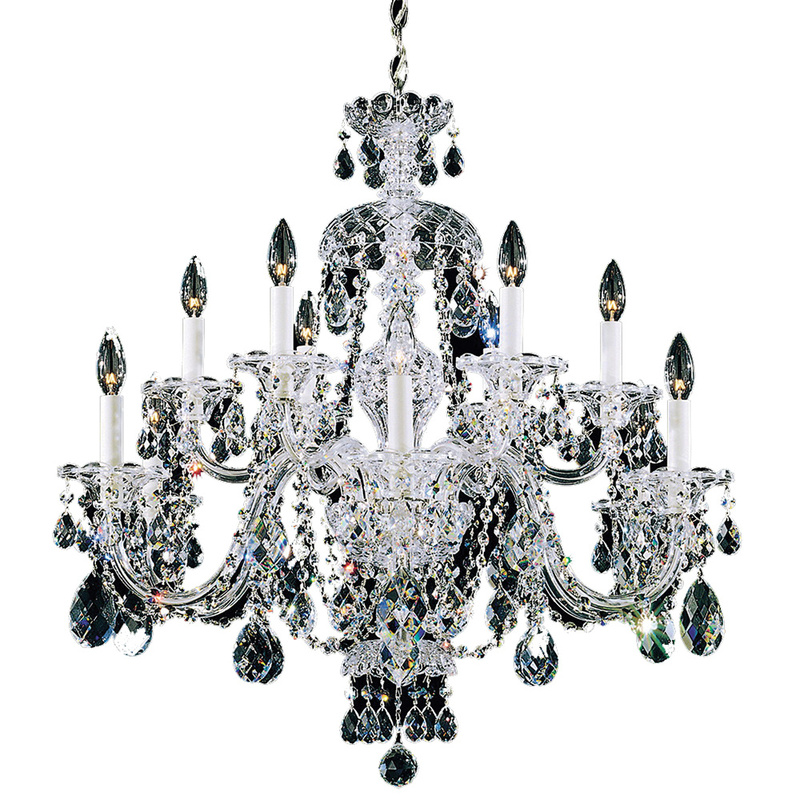 This chandelier is ideal for dining room, hallway foyer and living room.